HHB Ranch is a holistic 12 stable barn with heated viewing room, heated tack room, hayloft, big indoor arena (68×120), giant outdoor arena, round pen, paddock paradise, lots of paddocks, big lush pasture and great endless trails directly from the back of the property. 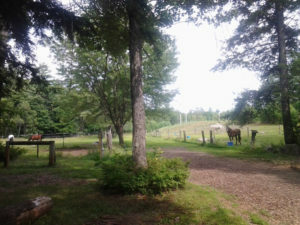 Human Horse Balance Ranch offers limited boarding with every day turnout and excellent care on a beautiful location with great relaxing and healing energy ! The care of the horses starts every day with a check-up grooming before turnout and includes putting on fly masks/spray or blankets etc. ~ evening round (at 9pm) with hay stretchers & hay for the nigh and water again. Grain, hay stretchers and hay are included in the board. Board (all inclusive) is $700 per month. 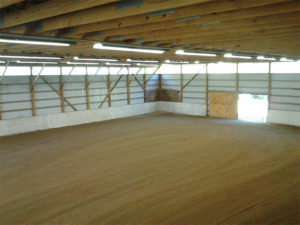 Boarders have unlimited access during opening hours to the facilities (indoor/outdoor arena, round pen, trails, etc.) that HHB Ranch offers. Lessons and training are possible. Paula Lambie is a Master Certified Integrated Horsemanship, Integrated Riding Instructor & Trainer as well. She is also a Master Usui Reiki Practitioner. Human Horse Balance Ranch is looking forward to provide you and your horse the best possible care in a relaxed and healing environment.